If you are looking for family holiday ideas, I’ve rounded up the top 10 destinations. 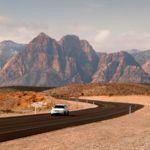 These are the most popular places with our readers, along with my own personal recommendations and an eye on the latest Government data on the numbers of UK visitors travelling abroad. 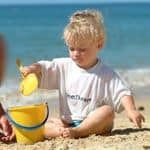 No surprises to see Spain in my top 10 – sandy beaches, almost guaranteed sunshine and low-cost flights from the UK make it a no-brainer for families in search of a fun, great value, no-hassle break. 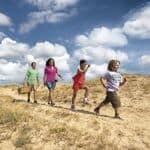 What’s less obvious, however, is just how diverse Spain’s family holiday options are. 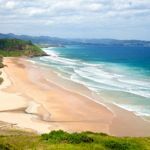 Galicia in the north-west corner of not only has golden-sand beaches but also boasts the spectacular mountains, pretty fishing villages and superb cuisine. In Southern Spain, Catalonia has an equally enticing blend of mountains and coast – from the lofty Pyrenees to sun-drenched beaches along the Med. These family villas all have swimming pools and are just a short drive from Girona or Barcelona. Also consider renting a villa in the lovely beach resort of Sitges near Barcelona. 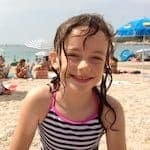 There are also family walking holidays on the Catalan coast, following easy trails between sandy beaches and staying each night in a hotel with a pool. 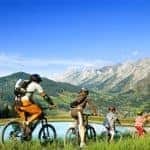 Alternatively, try one of these self-guided family cycling holidays. The most popular destinations are Mallorca and the Costa Brava. The Balearic and Canary Islands, of course, are firm family favourites, whether you’re interested in a private villa on Mallorca or a luxury hotel on Lanzarote or Tenerife. 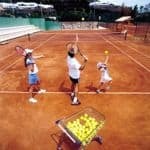 Find out more about family holidays in Spain. 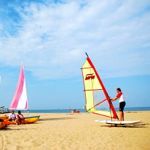 Like Spain, France has almost endless holiday possibilities – it’s quick and cheap to reach and you’ll find plenty of family accommodation, whether it’s a holiday village in Aquitaine or an apartment in Paris. The South of France has no shortage of excellent family accommodation including some fabulous luxury staffed villas. You can even rent your own chateau in the Dordogne. In the Loire Valley, Chateau Gombardy sleeps up to 16 and has a separate coach house, great for teenagers. 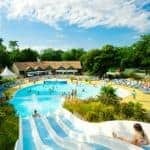 Find out more about family holidays in France. 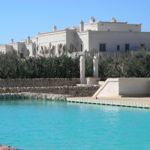 You will have no problem getting kids to adapt to Italy’s local cuisine of pizza, pasta and gelato, while accommodation covers the entire family-friendly spectrum, from campsites and holiday villages to beach resorts and self-catering villas. 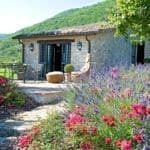 The beautiful countryside of regions like Tuscany and Umbria are perfect for a relaxed break in a family villa with a pool, perhaps with an occasional day out visiting a hilltop town. For a seaside holiday, Italy has no end of lovely beaches to choose from, while the northern lakes offer a freshwater alternative. For somewhere a little off the beaten track, I recommend Puglia with its unspoiled beaches and islands, quirky range of monuments (from Neolithic tombs to Gothic cathedrals) and bustling fishing villages. In Italy, vast swathes of the school curriculum come to life, whether your children are studying Ancient Rome or impressionist art. 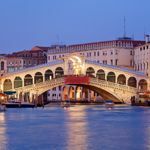 A family-themed city break in Rome, Venice or Florence could be just the thing to fire their imagination. And don’t forget Sardinia. 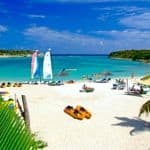 A beautiful island with a rugged, herb-scented interior and a coastline riddled with coves and sandy beaches, it has a good choice of excellent family-friendly hotels. It goes without saying that Britain and Ireland are great family holiday destinations – whatever the weather. 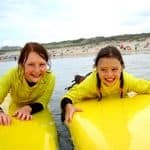 Kids can have just as much fun delving in rock pools on a windy beach in Pembrokeshire during October half term as they can surfing on one during the height of summer. Staycations are also easy and affordable, and there’s loads of choice. This Cornish holiday park has luxury wooden lodges (some featuring hot tubs and wood burners) and its own wildlife centre. 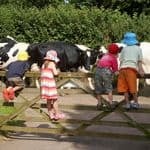 Many families choose to rent a holiday cottage. 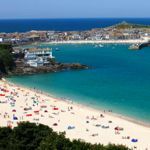 I recommend Classic Cottages for properties in Cornwall, Helpful Holidays for cottages in Devon, Holiday Cottages for working farm holidays in the UK, Rural Retreats for dog-friendly cottages and Sykes Cottages for rentals in the Lake District. 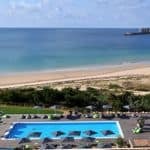 Few families look further than the Algarve when it comes to holidaying in Portugal, and who can blame them? 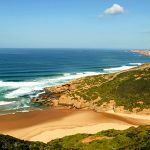 Not only is it largely sheltered from cool Atlantic winds and ocean currents, but its coastline is notched with a glorious succession of sandy coves and beaches. Check out this chic rural hotel and this friendly eco retreat. Away from the coast, this hideaway in unspoiled Alentejo is a perfect base for exploring the region’s whitewashed hill towns and sweeping savannahs, while these funky apartments in Lisbon are ideal for a family city break. Despite all the political and economic turmoil, Greece remains a popular family holiday destination. The people are friendly, the sea is warm, the sunshine is pretty much guaranteed and the accommodation and food won’t upset the contents of your wallet or your children’s stomachs. 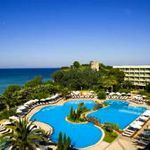 On the mainland, the Halkidiki Peninsula not only has some of the finest sandy beaches in Greece, but also one of the best family resorts. I also love the mainland region of the Peloponnese with its mixture of ancient sites and stunning coastline. Families will love this superb beachfront hotel. Of course, villas are a deservedly popular choice for families heading to Greece. Check out this picture-perfect portfolio of properties on Corfu, Kefalonia and Crete. If you love the sea, take to the ocean waves on a flotilla sailing holiday. 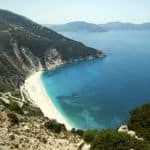 Beginners can learn the ropes on a two-week Stay and Sail Holiday with the first week at Surf Club Vassiliki. Find the best time of year to visit and which islands are hottest. There are plenty of family resorts and enticing beaches along Turkey’s 8,300km coastline. On the Aegean Coast, ancient ruins like Ephesus are some of the finest in the Mediterranean; the unspoilt Turquoise Coast is backed by pine-covered mountains and offers a wide range of activities, while the Mediterranean Coast has long sandy bays and warm, sheltered sea. 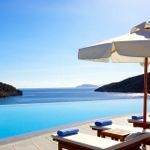 Simpson Travel has some gorgeous family-friendly boutique hotels and luxury villas focussed around the lovely resort of Kalkan. 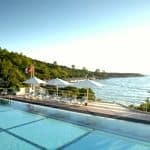 Mark Warner has opened a superb new club, Phokaia Beach Resort, near the charming harbour town of Foça where you’ll find watersports, tennis and childcare on tap. Exploring the beautiful coastline of Turkey on a traditional sailing gulet, venturing ashore to visit an archaeological site or flopping overboard to snorkel in a hidden cove, is perfect for families in search of a relaxed week or two on a sailing holiday with a cultural twist. 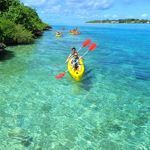 There’s a superb choice of family accommodation in the Caribbean and several islands, like Barbados, Jamaica, the Cayman Islands and St Lucia, have non-stop flights from the UK. Some of my favourite destinations include this idyllic family-friendly plantation-style resort on Jamaica, where you can choose from villas with a private pool or hotel rooms, some inter-connecting. 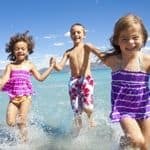 For all-inclusive, the livelier Beaches Family Resorts on the Turks & Caicos have action-packed Kids Camps and waterparks. 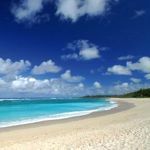 The beaches of the Indian Ocean islands are some of the most idyllic and desirable in the world, and they come with a glittering array of family resorts and hotels. 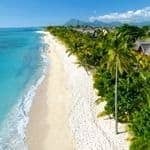 Try Beachcomber Hotels for Mauritius, and Turquoise Holidays for the Maldives. Beach bliss aside, these islands offer plenty in the way of gentle activities, from forest ambles to island hopping. And, if you have older kids with adventure on their minds, why not go lemur spotting in Madagascar? North America’s Great Outdoors is just the place for an unforgettable family adventure. 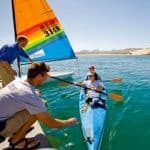 Try this 9-night Experience San Francisco, Yosemite & Lake Tahoe Self-Drive tour for families. 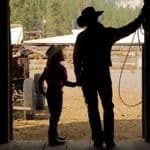 Or head out to the Wild West where kids of all ages will love these ranch holidays. There are options for beginners and experienced riders, and a range of places to stay from luxury resorts to small working ranches.